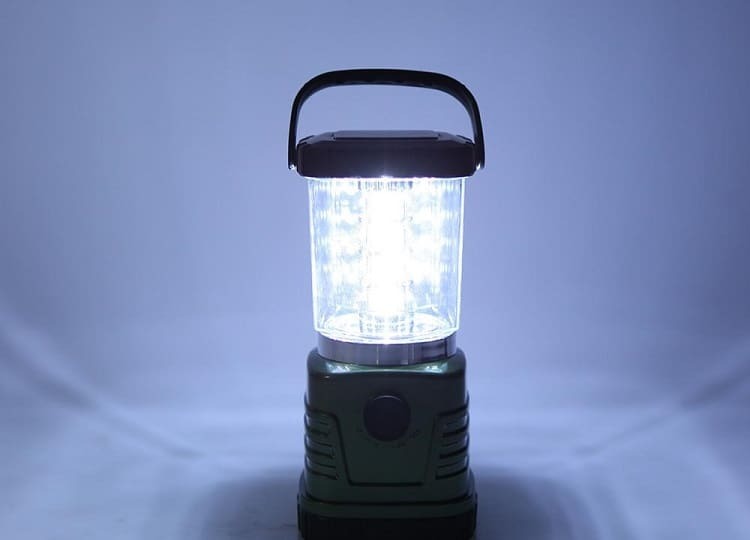 In the following guide, we'll provide you an in-depth review of the best camping lantern currently on the market and a detailed analysis of what goes into the making of the ideal lantern for every type of camping. Let’s start off with our top picks per category. Coleman are the kings of the outdoors, and while we all know this, they continue to make that fact all the more prevalent with excellent products like this. The CPX lantern runs off of four D-size batteries, but is also rechargeable. It’s a great little unit that outputs a crazy amount of light, without draining too much power. You’ll get 1,000 lumens of darkness-cutting bright light that beats simple LED lighting every day of the week. Coleman has a ton of different modes on this LED lantern, giving you a multitude of usage hours and brightness to choose from. At its lowest setting, you could keep this on for a straight one-hundred hours, and illuminate small areas without worrying. This makes the CPX excellent to bring in from the outdoors after the fire has been put out, and keep a light, low light on near your sleeping bag for comfort. 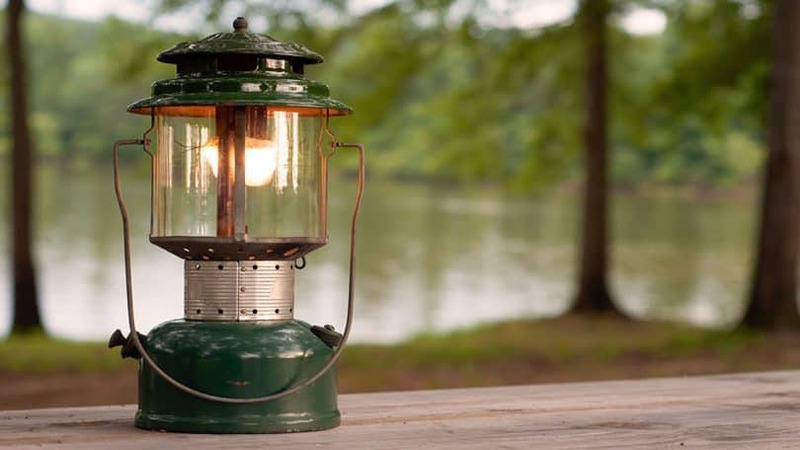 There’s a difference between a lamp and a lantern, and this is a true lantern, giving you three-hundred and sixty degrees of excellent light to brighten up campsites of roughly five-hundred square feet or less. Our runner-up brings a ton of durability to it, and that’s what attracts users first and foremost. This ABS plastic case is completed rubberized, meaning it’ll retain fairly good traction no matter where you place it. On top of that, it’s also water resistant, and impact resistant for short drops (usually three feet or closer will be okay). 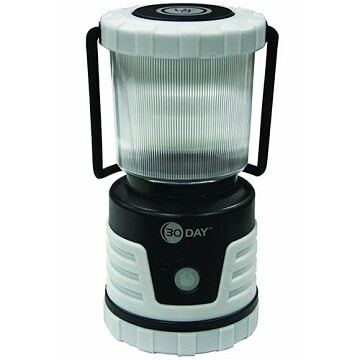 So they made it durable beyond everything else, but what makes this one of the best LED lanterns is the longevity. If you put it on the strobe SOS mode, you’ll get fifteen straight days of use out of this. You’ll be able to get a full thirty days out of the lowest mode, though that is designed for single use. There’s four modes to choose from to illuminate your space however you deem fit. With all inexpensive bright camping lanterns, there’s going to be an issue or two that arises. You’ll notice the battery housing is fairly flimsy, while the lens tends to hold onto dirt and dust far too well. UST may have missed the mark there, but they still turned this into a user-friendly lantern with one feature that we’ve yet to see: a recess hook in the top. Hang it where you want, or simply bring it with you after depositing the hook into its housing; it’s really your call. The only thing that we would change about this 700 lumen lantern is to add a new lens onto it to actually get more use out of that source, but it still gets the job done. Coleman just can’t be beat in many, many regards (which is why they’ve earned three spots on our list here). 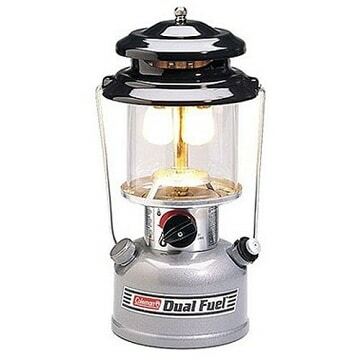 Turn the power and reliability of fuel into a sustainable light source with the premium dual fuel lantern, allowing you to use butane or propane to light up your campsite. This gets smack dab in the middle of the first two lanterns we reviewed in terms of lumens, providing 861 for maximum coverage over just about everything around you. If you put this on full blast, you’ll get about seven hours of use out of it. The only downside is that when it goes out, it goes out: there’s not really much of a dimming indicator, so you’re left fumbling around to refill the fuel. Since there’s not really a gauge or indicator light (like you might find on some LED models), you have to guess and just keep topping it off. That can get a bit aggravating as time goes on, but if you want to extend the light life, you can put it on low for a total of forty hours of fuse. Coleman designed this for use in extremely low temperatures, so even if you’re looking at the single digits, this isn’t going to fail on you. With purely electrical lanterns, cold temperatures can interfere with operation. 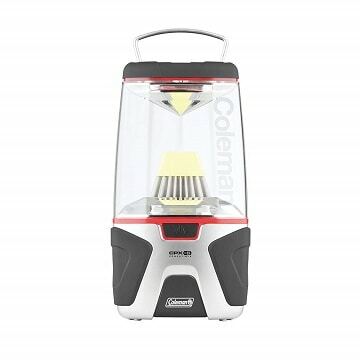 Coleman also offers a three-year warranty on this lantern, and while it’s limited, it covers just about everything you can imagine running into from outdoor use. The NorthStar is certainly a viable, compact solution to illuminate the campsite, but there’s a reason that it didn’t beat the dual fuel lantern. For one, it’s a little heavier at 6.7 lbs, and features a lower runtime. Nine hours on the lowest setting isn’t terrible, especially when you consider that it’s all off of on 16.4 oz propane cylinder instead of a larger source. The real area that this picks up the slack in is the power that it has to light up the campsite. 1,500 lumens beats everything else on this list in terms of power, and we’re personally pretty happy with the plastic two-fold case that it comes in. While the case isn’t super special, it provides the perfect amount of vibration resistance during transit, and keeps the glass lens on this lantern from cracking or getting damaged. You’ll get a bail-style handle for hanging this up on a tree branch or off a tent stake (you can peg one of these into a tree to hang your lantern). It’s versatile and durable, with a fairly easy way to control it, and earned the right to be called the official lantern of the NPF (National Park Foundation). That stands for something, and Coleman earned their favor through superior engineering on this lantern. You can’t mention the best solar camping lanterns without bringing the AGPTEK into play. This thing is phenomenal, and apart from the obvious low price lovability, there’s a ton of features in this that just can’t be ignored. You get a durable ABS plastic and steel frame, and despite having so much hardware on the inside, you’re only packing a little under two pounds in total. Now the hardware isn’t in lumens: you only get 240, reaching about ten feet in each direction. If you’re wondering what we’re talking about, it’s the five ways that you can charge this: USB, car charger, batteries, solar, and a hand crank if you aren’t able to access any of those in an emergency situation. The hand crank gives you a low amount of power, but it’s better than sitting in the dark. Between the versatility and the price, AGPTEK is a truly great camping lantern, but there are some issues with it. Charging takes a while. You don’t have much of an internal power source, so you’ll need to get some rechargeable batteries that can hold a bit of additional electricity if you want to get the most out of this. The only other complaint is the cheap feeling of the lens; it’s plastic, scuffs easily, and while we think the manufacturer assumed the steel cage would keep it protected, it doesn’t. You get what you pay for, and while this is a high functioning lantern, it’s more fragile than most. Pay attention to how you like to camp, and what power sources you like to use. Everything is going to end up depending on your personal preferences, but do keep an open mind and understand that an alternative fuel source may be better than what you like, and plan accordingly. It can be difficult getting used to a new type of lantern. LED camping lanterns are all electronic: they require batteries, car chargers or a USB charge cable and a reliable power source to charge. The good thing with an LED lantern is that you’re eliminating the risk of causing a fire in your tent if you kick this over in the middle of the night. They come with durable, heat resistant lenses and steel cages on the outside, preventing the heat from igniting even the driest of brush. Seriously, you could put these on their side in the middle of dry grass, and nothing’s going to happen. Family campers generally prefer these for the overall safety of their loved ones, but you also have brightness benefits as well. Generally speaking, most LED lanterns of the same size and dimensions as their gas powered counterparts, have an average of 300 more lumens of power. They’re a viable option with safety features in mind. The good old way of doing things, but not exactly the best way of being environmentally conscious. Gas powered lanterns usually use a 16.4 oz butane or propane canister (though they can sometimes be larger), and burn this fuel to light up the lantern. While we didn’t list flame lanterns, they do exist, and offer a much higher risk of your tent or campsite catching on fire from mishandling. But the upside to gas powered lanterns is that you don’t have to rely on a USB charger or car charger to keep the power rolling. Even though gas powered lanterns usually run for 10-40 hours, whereas LED lanterns can run for weeks, that energy source will eventually run out. With gas, you can repeatedly pop in butane tanks as needed and continue to light up the night. You’ve seen the solar trend that takes over every single power source type, and now it’s come to lanterns. To clarify, there have been solar lanterns for well over a decade now, but they weren’t very effective. Nowadays, you can get you entire power source from solar energy, so long as you have an ample spot to leave your lantern. Even with solar lanterns, they usually offer an alternative method of power. 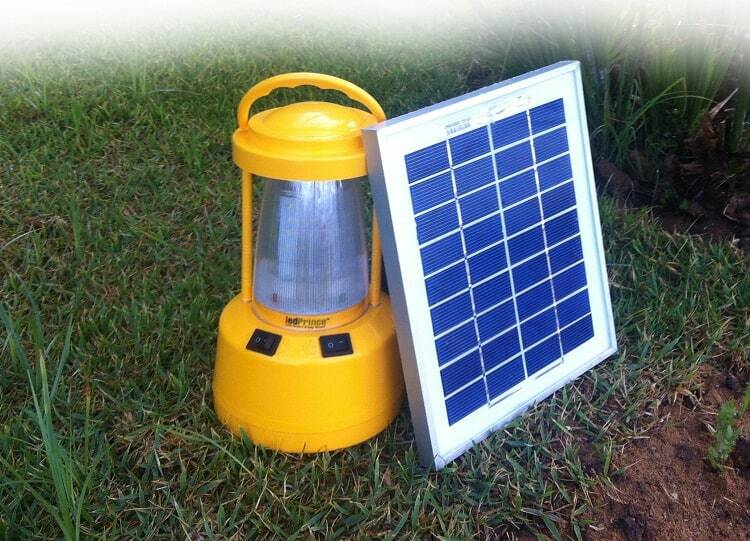 Our solar lantern by APGTEK runs off of five different electronically sourced power methods. At the very least ,they’re versatile, but they also use clean energy to power your campsite, eliminating any carbon footprint you would have from disposing of butane canisters on gas powered lanterns. The downside is you will see lower lumens in most solar models, and by a significant amount of 50-60% lower than standard LED lanterns. They’re inexpensive, but in high volume conditions, they can be ineffective. Storing it in the trunk of the SUV? The back of your 55L camping backpack? Either way, you’ll need to get a compact lantern to save as much space as possible. Most lanterns come with about a 12” height and 6” width, which is fairly compact and effective. 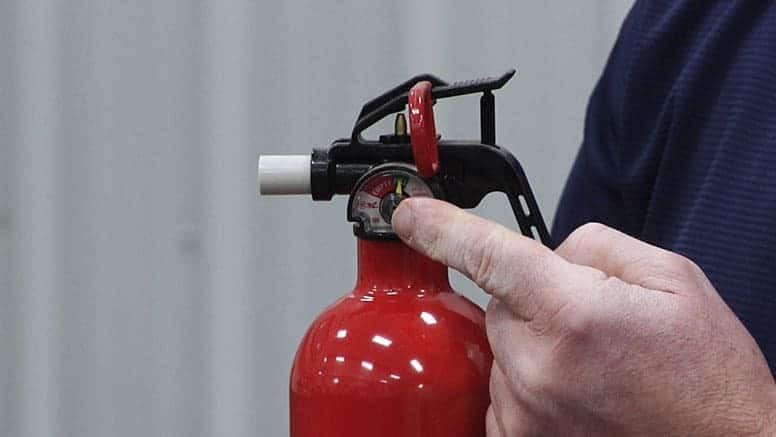 Be warned that this doesn’t include the size of an external butane or propane canister on gas powered models, and sometimes doesn’t include the bail-style handle on the top. If possible, detach the handle during transit and store it with other items. Brightness is measured in lumens, which can essentially correlate to the wattage of a lightbulb. For instance, a 600 lumen light is going to look just like a 60 watt light bulb. The more lumens, the more powerful your light source is, but there’s something else to consider here. If you have a tactical flashlight, 600 lumens in that isn’t going to be the same as the lumens in your lantern, and I’ll explain why. Lanterns focus on a 360-degree output, whereas flashlights have miniature mirrors, and have about a 45-degree output, maximizing the focus. One of the biggest mistakes that users make, (as we found during reviews and investigation), is that campers were comparing their flashlights and lanterns together, not understanding how the output is viewed. Lumen power, the power source, and your light mode settings will all affect how long your light will last. Many LED lanterns have a long life on low or SOS mode, sometimes even offering a light source for up to thirty straight days. Keep in mind, this is usually at 8-10 lumens of power, which is barely enough for a personal light source. Gas lanterns have a much shorter light duration from a single use, but can be refilled with new canisters in under a minute to renew the total light duration. We talk about it with camping all the time: every ounce counts. If you’re over packing your bag, you’re going to be fatigued and exhausted by the time you reach the campsite, negating all the hiking, fishing and setting up that you were going to do. Weight in camping lanterns matters, because they’re either going to be around two pounds, or all the way up to nine pounds (more than a gallon of milk). 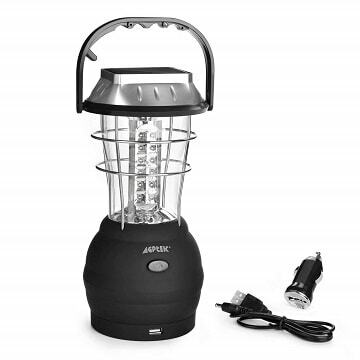 LED and solar lanterns are usually lightweight, while gas powered are often heavier. A camping headlamp is designed sort of like a flashlight: it projects in one direction, with a 45-110 degree angle of output. Whether you’re referring to literal headlights that you wear on your head, or a headlamp that directs the brightness in one direction, they’re focusing their power forward. This provides better illumination for the path ahead, but doesn’t cover 360 degrees like a lantern does. Wearable headlights are also better for personal use, whereas a lantern is good for a party of two or more. Nobody wants to get separated from their group, and a lantern gives a full circle of light to keep an eye on everyone around you. 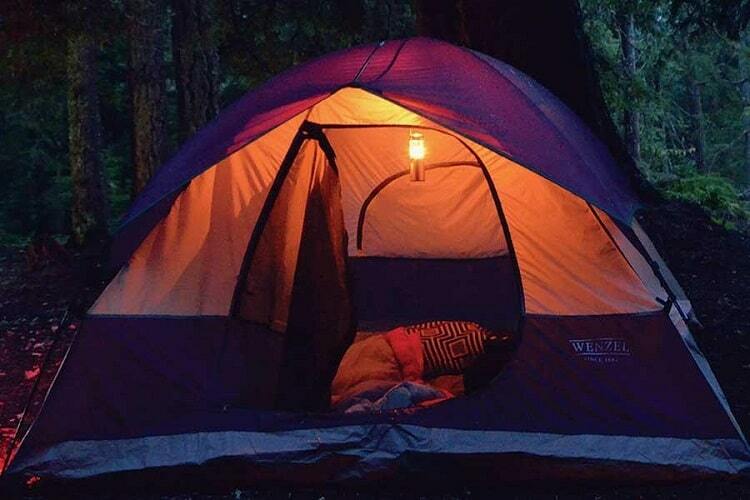 Lanterns are better for campsite use, while headlights might be better for a solo hike when the sun’s going down. Lanterns generally last longer than headlights, and are built more sturdily. So we know what goes into the best warm light camping lantern, but now it’s time to learn about usage beyond specifications. Maintenance, explaining lumens, cleaning and everything in between: that’s what we’re covering here. Let’s learn about the logistics of what power you’ll need, and where you’ll have to place it in your campsite for the most favorable light source. 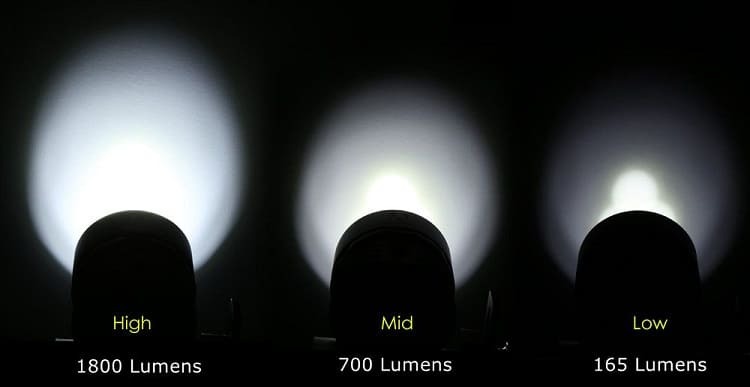 How Many Lumens do You Really Need? It depends on party size and expected use. 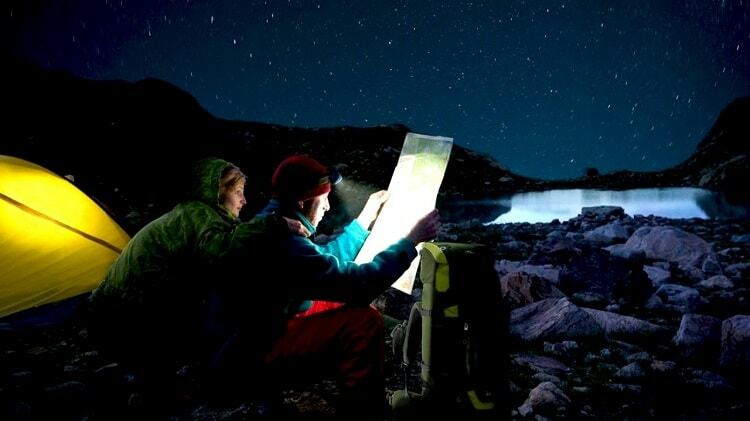 Between LED, gas, and the best rechargeable camping lantern models out there, lumens are the only thing that defines how far-reaching and bright the light is. 300 – Single party use; ten foot output from source. 600 – Two party use; twenty foot output from source. 900 – Three party use; twenty-seven to thirty foot output from source. 1,500+ – Four party use; roughly forty foot output from source. There’s a lot of complex mathematics and angles that go into specifications. Use this chart as a general rule, and understand that your positioning and placement of your lantern is going to alter your perception of how well it is or isn’t working. 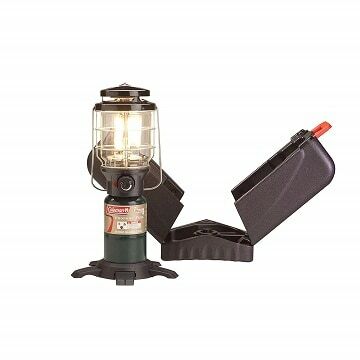 How do I Maintain My Camping Lantern? 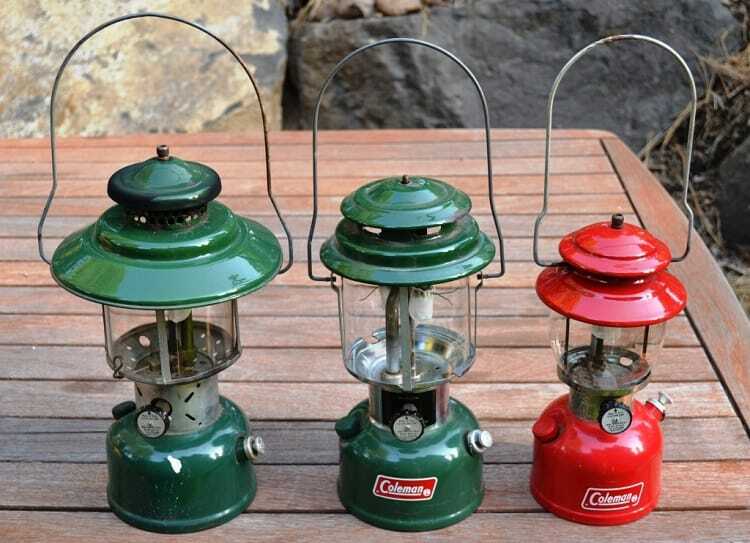 Maintaining your camping lantern is a fairly easy task. When we picked the best lantern for camping for this list, we took a look at the durability and ease of use. You need to clean the entire lantern, but especially the lens. That’s going to be most of your maintenance, but there are a few tips and things to look for that we’d like to discuss to help you out. 1. If your lantern has a handle, use WD-40 from time to time to keep it from squeaking and scraping against the top of the lantern cap. 2. Apply a rubber restoring spray to cracks in rubberized stands to prevent further splitting, and relatively replacement. These are relatively cheap to pick up. 3. Use a polish or wax on the steel cage surrounding the lens to provide a reflection of the light, giving a little more illumination and keeping it looking fresh out of the box. 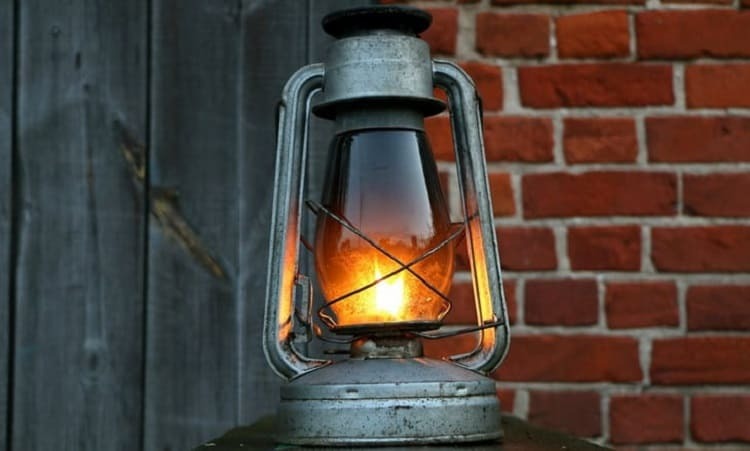 How Often Should I Clean My Camping Lantern? Even the best camping lights get pretty filthy after light use, and we recommend cleaning them after every single camping trip. After looking at a ton of camping lantern reviews prior to making this guide, we found that a common issue many people face is a loss of light visibility. When you don’t clean your lantern (at least the lens) often, it impedes upon your visibility. If you already have low lumens to start with, then this is going to be highly noticeable. The best thing we could offer for plastic lenses is to grab a headlight restoration kit, and use that on the lens after cleaning. It removes spotting, fogginess, and an overall hazy look that can often happen to your lens. One kit, even a cheap one, will get the job done and last you for years since you’re using a very small amount of the product. Restoration kits need only be used in between regular cleaning. Can Your Camping Lantern Get Hot Enough to Cause a Fire? It depends on what source you use. Most gas, propane or butane lanterns these days are designed to burn the fuel and activate a lightbulb, avoiding an open flame. Open flame lanterns obviously pose their own risks, but generally speaking and mostly talking about the ones on this list, your lantern won’t get hot enough to start a fire. You’ll be able to feel a bit of heat when you press your hand to the plastic or glass lens. These aren’t going to get hot enough to even light dry brush on fire, and as an extra measure of precaution, most lanterns also come with a steel cage around the lens for some peace of mind. That, and it helps prevent scrapes and damages to the lens. If you have a lantern with no lens, that’s when you run into potential fire hazards under specific conditions. Where do I Put a Camping Lantern in My Camp? It depends on how you camp and what you’re near. You don’t want to create a source of blinding light, but you want to illuminate any dark spots near backpack storage and entryways to your tent. For a lantern, the best place to leave it is in the dead center of your camp, but away from an active fire (no need to waste the lighting potential). Then it’s time to pay attention to the lumens to get the most out of it. Even the best battery powered lantern can have a low reach, because your lantern is projecting light in all direction, not in one focused path like a flashlight would. For every 300 lumens of lighting power, you have about ten feet of light in every direction from the source. You don’t have to take a measuring tape to set up your campsite, but keep in mind that a party with three or more tents would benefit from 1,500+ lumens. Most lanterns will also have a handle or deployable hook to grasp onto trees. One trick is to bring a few extra tent stakes, and drive one into the side of a tree to hang the lantern off of. If you’re going to be setting up a fire anyway, this can help shed some light from the top down, and illuminate dark spots between tents or near closely parked vehicles. No matter which top rated camping lantern you choose, go with one that’s specifically fit for your needs. Everyone camps differently, spends their time differently, and you don’t want to get stuck with something that’s just user-recommended; go with what provides the most value for you, and of course, the highest quality lantern you can possibly get for your budget.